Three Castle Head Farm was originally a cloghán – a small cluster of rural dwellings that was traditional to Ireland and Scotland. This tradition dates back to medieval times when clans, families or other groups of people would live together in order to farm communally and thus maximize the potential yields on poor farming land. These clogháns, unlike villages, did not have any formal buildings such as a church or school. In recent years, three of these buildings have been converted into rental properties. 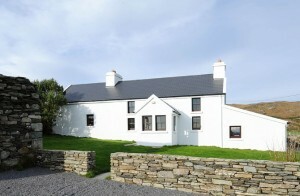 The holiday houses are situated on a working farm overlooking the Atlantic Ocean and Dunlough bay. This part of the country is often referred to as the ‘back of beyond’ and all of these properties, given their remote location, are perfect for anyone who wants to get away from the hustle and bustle of day-to-day life and escape to the wide open spaces of the Irish countryside. 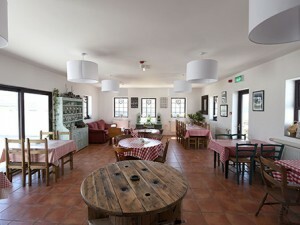 Accommodation at Three Castle Head Farm includes a large open plan loft conversion, The Loft, and a traditional Irish cottage, The Cottage. Both properties can sleep 2-5 people. 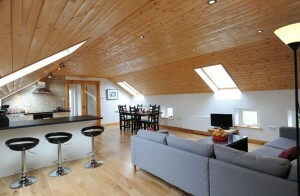 More recently Lukas and Joanne have converted the old Tack Room into a bijou courtyard cottage for one to two people. All three have been renovated to a high standard and include central heating, modern kitchens and brand new furnishings. Wetsuits, fishing rods and bicycles are also available free of charge for guests – just ask! 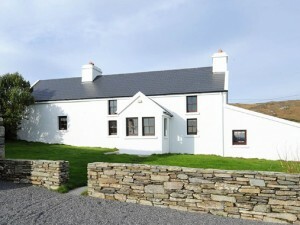 Staying in this area is a nature lovers dream – some of the wildlife here includes wild birds, foxes, sheep, rabbits, seals, sharks, whales, dolphins and much more. 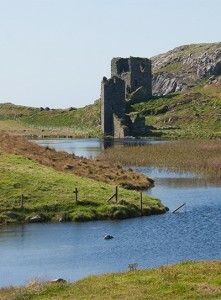 It is very popular with Bird Watchers and many first sightings of new species to Ireland have taken place here. It is also a great spot for Whale Watching. Three Castle Head is also very popular with people that enjoy hiking, hill walking and photography as there is an abundance of spectacular mountain and coastal views here, not least the Three Castles themselves.